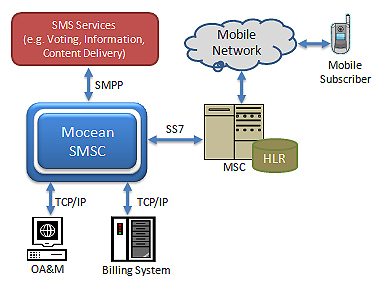 Apart from Person-to-Person communication, Short Message Services (SMS) is also very widely used for many types of services globally, from alert systems to competition voting to information delivery. The application-to-person (A2P) SMS messaging is expected to continue the growth and will be worth $70.1 billion by 2016 (Juniper Research). Juniper predicts that in 2016, revenue from A2P messages will overtake that of person-to-person (P2P) SMS during that year as the strategic focus for players within the mobile messaging ecosystem shifts from communication between individuals, to sending and receiving service-enabling messages.